"A fun, adventure game inspired by many similar games before it." 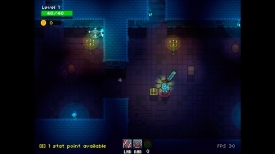 Dungeon Souls gives you a nice choice of characters, a barbarian, a thief, a wizard, a warrior or a healer all with their own unique powers and special moves. Each level is randomly generated so it’s a little different each time that you play. You also need to find healing and stats increase items during your journey to try to stay alive and increase your chances if survival. When you play Dungeon Souls it is reminiscent of the game Gauntlet on the old Amiga 500 for those of you old enough to remember it! You are trapped in a dungeon and have to battle your way out, it´s a simple birds eye view game and it is fun and very playable for a while anyway. Dungeon Souls can on occasion become a little frustrating as at times you tend to be overrun by bad guys and there is nothing you can do but slash and hack and hope you kill all the baddies before your health bar runs down. There are many obstacles and to progress on the Dungeon Souls you must use your skills to good effect depending on which character you have chosen to play with. 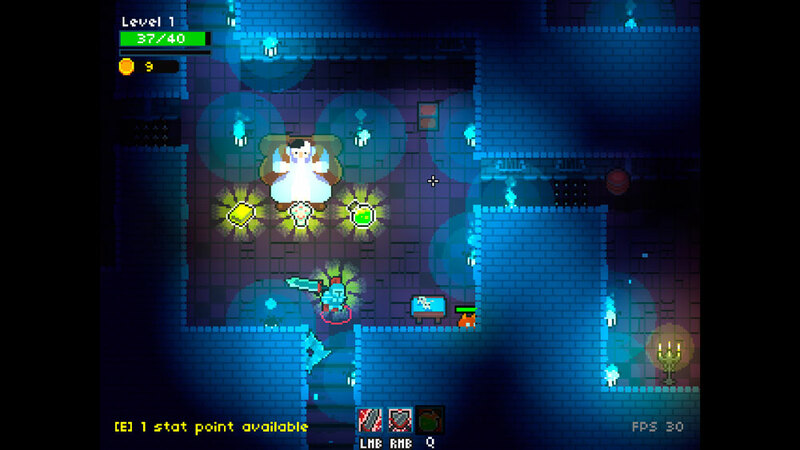 Dungeon Souls is a free download and will keep you occupied for a while at least but it can at times feel like a regression to games of yesteryear, the graphics are very pixelated and whilst the sound and gameplay are both well done it does feel like you are playing a game from 1985 rather than 2015. Dungeon Souls can also be fairly difficult in parts, with enemies and statues and gargoyles coming out of nowhere and either trying to battle you in close combat or shooting off fireballs or lasers. It would be nice if it was made a little easier at least for the first couple of levels until you at least get the hang of it. It would be great with a game like this to have a multiplayer mode or some sort of battle arena where you can fight with other players from across the world. For those of you old enough to remember older games in a similar style playing Dungeon Souls may bring back some fond memories. It´s a fun and enjoyable yet simple game it would just be great if it was a little easier as dying so many times on the first level can stop those of us with a shorter attention span from returning to this game.